In which a major plot point of the movie is spoiled. YOU HAVE BEEN WARNED. BELOW HERE BE SPOILERS. 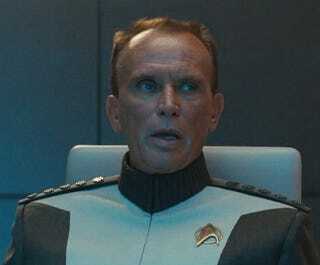 "As soon as that guy said he was an admiral, I knew he was going to be evil, because Starfleet admirals are always evil. I liked him, so I tried to forget that they're always bad guys, but I really saw that twist coming."